The progress we have made towards gender equality in the workplace and societal perceptions in general has be encouraging. However, we still have a long way to go. As I’ve gotten older I’ve seen the difference of how society expects men to aspire towards and what women should aspire towards. I think that as women it is often assumed that we want to get married or that we want to have biological children. Some women may truly want those things and that is fine. I commend them for that. But what about the women that don’t want that for themselves? 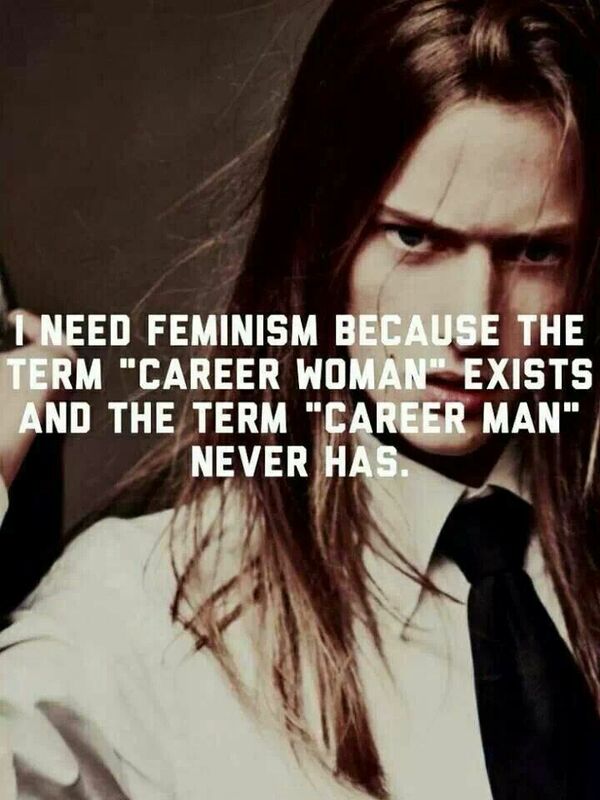 Why is the thought of a full-time, dedicated woman in a demanding career so strange or taboo to us that we made up the term “career woman” for it? I’ve always heard women questioned on how they plan to balance a career and the role of a mother and wife. Men are rarely asked that question. It’s frustrating that with every possible occupation I’ve been interested in, I’ve had people ask me how I can have a good marriage or children with those things. Maybe I don’t want those things. Maybe I do, but either way that’s a personal choice that I for myself have to make. No one else should assume that for me.